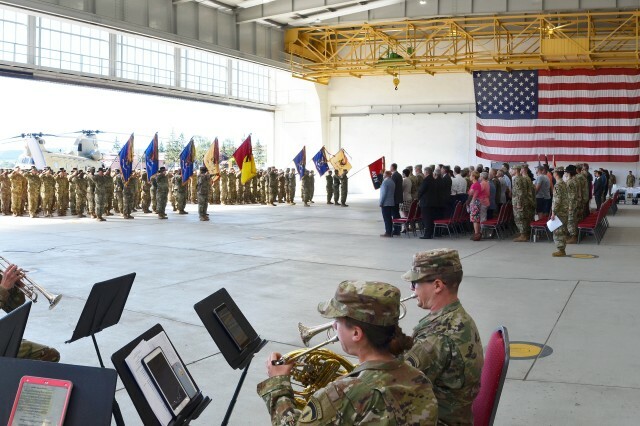 ILLESHEIM, Germany-- A Hand Over/Take Over ceremony was held July 2 at the U.S. Army Ansbach Garrison's Storck Barracks Airfield for the first of the expected 1,700 Soldiers of the 4th Combat Aviation Brigade (4th CAB) arriving in theater from Fort Carson, Colorado. The brigade, led by Col. Scott Gallaway, Commander, 4th Combat Aviation Brigade participated in the ceremony at the Illesheim Airfield marking the start of its deployment to Europe. As part of the regular rotation of forces, the 4th Combat Aviation Brigade replaces the 1st Air Cavalry Brigade (1st ACB) and support combatant commander mission requirements for U.S. European Command's Atlantic Resolve. The 1st ACB redeploys back to its home base at Fort Hood, Texas. 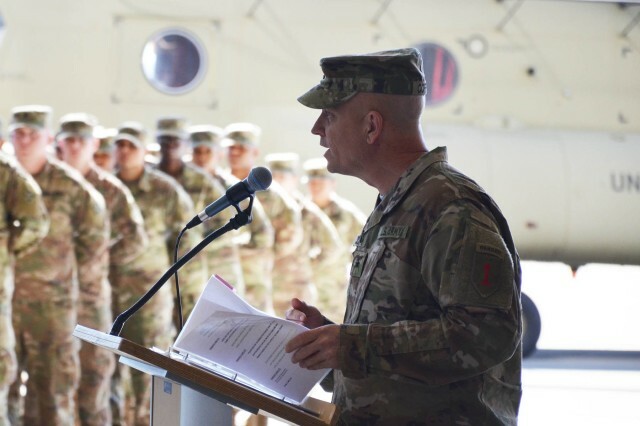 "The 4th Combat Aviation Brigade has trained hard for this mission and we are ready." said Gallaway from the lectern to the assembled Soldiers and guests in attendance. "I can assure you our team is excited for this unique opportunity to train alongside our European allies and partners. We have some big shoes to fill but we are carrying this mission forward, increasing operability among our partners and we'll make our mark." Brig. 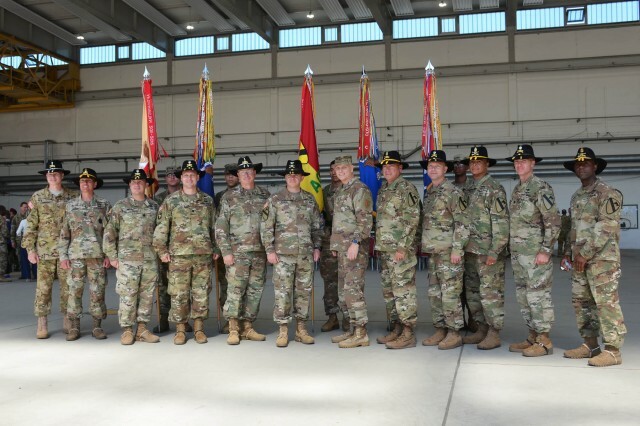 Gen. Richard R. Coffman, Deputy Commander, U.S. 1st Infantry Division and guest speaker, was on hand to welcome the brigade to Germany, as were leaders from the U.S. Army Garrison Ansbach and the 12th Combat Aviation Brigade (12th CAB), the garrison's largest tenant. Said Coffman about the departing 1st ACB, "The 1st Air Cav hit the port and within 58 hours they were gone; that's the current EUCOM record, and they have been moving at that pace for nine months now." Looking across the face of the more than 300 Soldiers and civilians assembled, Coffman continued, "1st ACB crews flew over 9,800 hours during which the conducted over 20 air assaults, over 70 mission requests and conducted nearly 400 gunneries. All said in total, they sent over half a million rounds down range." Also attending the event was Bürgermeister Heinrich Forster, Mayor of Illesheim, accompanied by Mrs. Forester who graciously mixed and welcomed the new 4th CAB Soldiers in English and German, and made a heartfelt goodbye to the departing 1st ACB which redeploys back to its home base at Fort Hood in Texas. "We hope you come back to visit and take with you fond memories of Illesheim." Forster said. Local Franconian Mayors Koetzel, Heindel, Kisch and Volkert were also in attendance. The 4th ACB is deploying to Europe with 89 helicopters: 38 UH-60 Blackhawks. 12 CH-47 Chinooks, 24 AH-64 Apaches and 15 HH-60 Black Hawks. 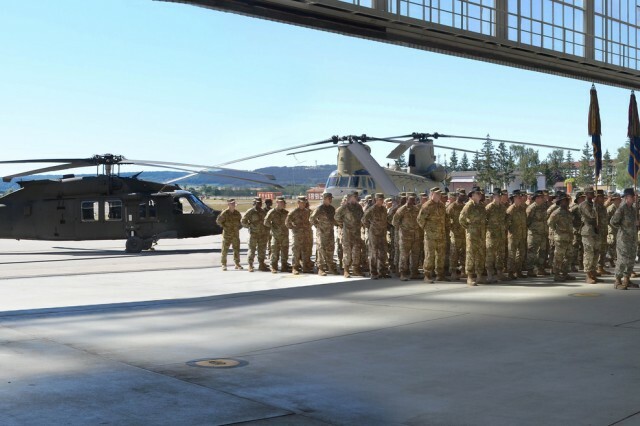 The majority of aircraft are to be located at Storck Barracks in Illesheim, while another additional helicopters will be located at the nearby Katterbach Airfield. Other aircraft will be located with NATO allies in Eastern Europe. 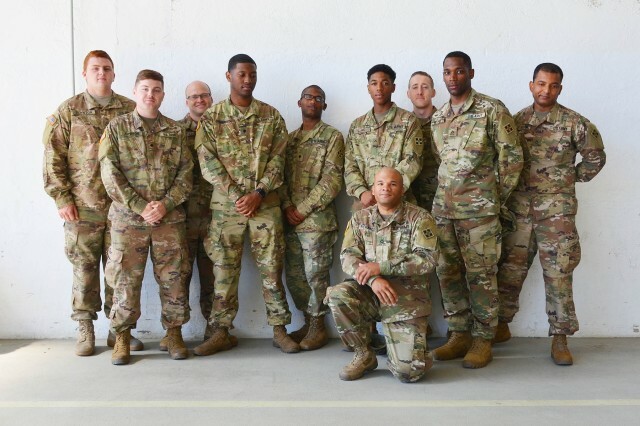 In the nine months prior to their arrival in Germany 4th ACB Soldiers completed intensive training in preparation for the deployment, including a warfighter exercise and culminating training at the Piñon Canyon Maneuver Site in southeastern Colorado. The brigade headquarters will be based and operate out of Storck Barracks, and will deploy assets to bases in Latvia, Poland, Hungary, Romania, and Bulgaria in support of Operation Atlantic Resolve operational exercises in Eastern Europe. Atlantic Resolve is the demonstration of the United States' commitment to the collective security of Eastern Europe through the deployment of rotational U.S. forces to improve interoperability and to strengthen relationships with NATO Allies and partner nations. ABOUT THE 4TH COMBAT AVIATION BRIGADE "IVY EAGLES"
The "Ivy Eagles" were first constituted in 1957, as the 4th Aviation Company, assigned to the 4th Infantry Division and activated at Fort Lewis, Washington. The unit was redesignated in 1963, as Headquarters and Headquarters Company, 4th Aviation Battalion and deployed three years later to the Republic of Vietnam, participating in multiple campaigns there until redeployment back to the United States in 1970 and consequently inactivated in December of that year, at Fort Lewis, Washington. In November 1972, 4th Aviation Battalion was redesignated as Aviation Company, 4th Infantry Division, and activated at Fort Carson, Colorado. It was again reorganized and redesignated in 1980, as Headquarters and Headquarters Company, 4th Aviation Battalion, and again in 1987, as the 4th Aviation Regiment. In 1995, the unit was relocated to Fort Hood, Texas, with the 4th Infantry Division. In 2005 the unit was again re-designated as the 4th Aviation Regiment. 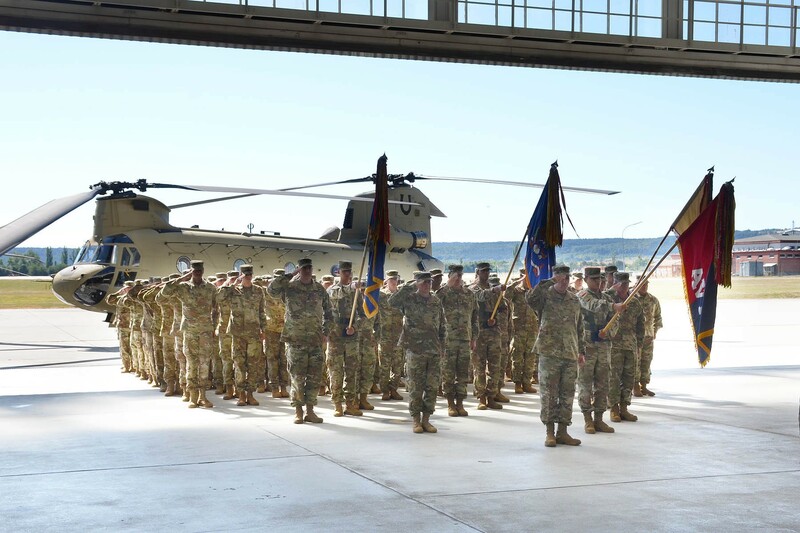 The 4th Combat Aviation Brigade, 4th Infantry Division, was inactivated in September 2011 at Fort Hood and was reactivated July 2, 2013, at Fort Carson. The 4th Combat Aviation Brigade, 4th Infantry Division, deployed twice in support of Operation Iraqi Freedom, once in 2005 and again in 2008, and was awarded two Meritorious Unit Citations. The unit deployed again in 2010 in support of Operation Enduring Freedom, after which the brigade was awarded a Valorous Unit Award. On July 2, 2018 the 4th Combat Aviation Brigade replaced the 1st Air Cavalry Brigade and support combatant commander mission requirements for U.S. European Command's Atlantic Resolve as part of the regular rotational forces based at Storck Barracks in Illeheim, Germany.